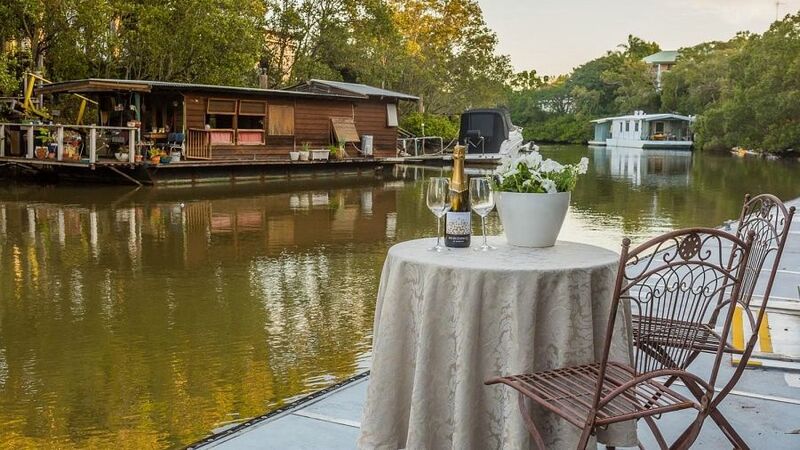 An unchanging rule of Brisbane real estate is that homes by the river are some of the most desirable on the map. Their inner city locations and scenic outlooks mean massive investment potential, particularly if you’re willing to update an older house or start afresh on valuable land. These five homes offer endless potential as well as entry into sought-after suburbs for a reasonable price. Renovate, occupy or invest; the river will deliver. This well-maintained Queenslander sits on just 298 square metres but enjoys a fantastic location, just a short stroll away from the West End CityCat terminal. It offers easy access to the cultural hub of Southbank, as well as the CBD, Botanical Gardens and University of Queensland. Inside, there’s all the charm of a traditional home but with a modern bathroom and kitchen, along with three good-sized bedrooms and an open plan living space. The keen renovator could easily lift the dwelling to make the most of the lower level, creating a compact but spacious family home in the heart of the inner city. Just four kilometres from the city and full of lush greenery, Yeronga is notoriously tightly held, with 65 percent of residents staying long-term. This sturdy single-level home sits on a flat, elevated 647 square metre block, just 150 metres from the picturesque Paringa Place riverside park. “Overall, the quality and calibre of the homes and the pride of ownership in the area is very high in Yeronga,” she said. “There are plenty of walkways around and there’s quite a bit of green space there. “There’s opportunity to go up and expand, renovate the existing property — which features a fireplace — or there’s the opportunity to demolish it and build something new and bespoke. This heritage-style double brick townhouse is part of a private complex, which allows residents access to a private pontoon and a boat ramp at the water. Set on three levels, the home has a sense of grandeur — if a little dated — and offers plenty of opportunities to update or modernise into a glamorous riverside retreat. It’s also within the catchment of three different state schools and close to a number of others, so would easily suit a family or couple looking to settle down. And, if your riverside oasis becomes tiresome, you can always head into the CBD, just 1.4 kilometres away. This townhouse is simple, modern and low-maintenance, set in a residential development on West End’s desirable riverbanks. Surrounded by trendy cafes and emerging urban spaces, the Left Bank is decidedly upmarket, featuring sub-tropical gardens, a pool, barbecue area and fully equipped gym. This no-fuss house would make an easy investment or wise first home buy in one of the city’s rising star suburbs. Just across the road from a high-set river outlook and striking city views, this three-bedroom character home comes with long-term tenants and brings in a tidy sum of $1,005 a week. Agent Anna Glynn said it was an easy investment move. “The great thing about Bell Street is it’s proximity to the Kangaroo Point cliffs,” she said. “Not only is it popular with tourists that are coming to see the magnificent views, health-conscious people are doing the river loop and running up and down the Kangaroo Point stairs. “It’s a character home, so it does have those traditional Queenslander features, the soaring high ceilings, the polished timber floorboards.